Like many Giants fans, I was awaiting the results of Tuesday night’s game against the Chicago Cubs at Wrigley Field. Earlier in the evening, it started to rain, so as per usual,the Wrigley Field grounds crew raced to put the tarp over the infield. Unfortunately the crew did a terrible job,which led to the infield turning into a mud pit. It was atrocious. The Giants knew it. The Cubs knew it. We all knew it. For four hours and 34 minutes, everyone was wondering what would happen with this game. Would the field dry enough to continue playing into the wee hours of the morning? Would the Cubs be awarded a win after four and a half innings? Would the game somehow get suspended despite not meeting the criteria for it to get that treatment? Would the Giants protest the decision? At around 1:30 a.m. Central, we got our first answer. A Chicago victory was awarded because they were ahead at the time of the delay and the game not meeting any of the six ways to suspend it. I don’t know about you,Giants fans,but even though I understood the decision and the reasons behind it, it didn’t make me feel any better. Fast forward to Wednesday when the Giants filed a protest with Major League Baseball. I saw the news on my phone at lunchtime (which was around 1 p.m. Pacific) and thought to myself that there was no chance in hell that their protest would be upheld. No protest ever gets upheld,not since 1986,at least. After getting off work on Wednesday, I got in my car and the Giants game came on to the radio where Dave Flemming had announced the Giants had won their protest and the game that was rained out on Tuesday would resume today at 4:05 p.m. Central before the scheduled 7:05 p.m. Central game that will end the series today. 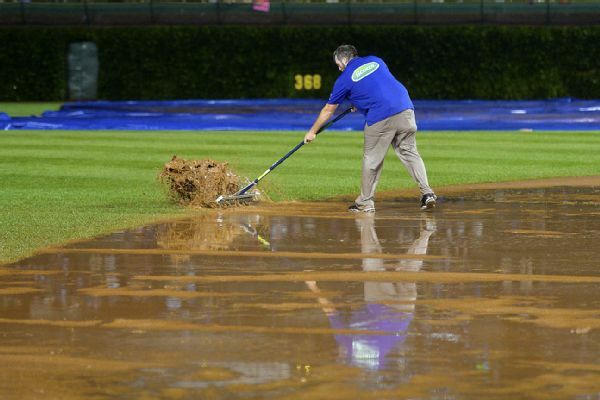 The protest was upheld citing negligence on the Cubs’ ground crew for not properly getting the tarp onto the field in a proper manner. “An examination of the circumstances of last night’s game has led to the determination that there was sufficient cause to believe that there was a ‘malfunction of a mechanical field device under control of the home club’ within the meaning of Official Baseball Rule 4.12(a)(3),” MLB said in its ruling. “Available video of the incident, and conversations with representatives of the Cubs, demonstrate that the Cubs’ inability to deploy the tarp appropriately was caused by the failure to properly wrap and spool the tarp after its last use. I thought this was the best decision for Major League Baseball to make in regards to this game. 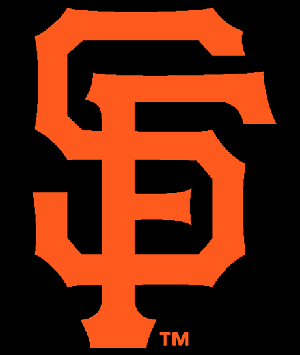 It wasn’t fair for a team like the Giants (or any team) to lose a game like this,especially since they’re in a very competitive pennant race (and Wild Card race as well). It was also the only decision to be made regarding the game’s possible continuance due to what I think is an outdated rule of a ‘malfunction of a mechanical field device under control of the home club’ because,well, nobody has a mechanical tarp anymore.